People are the foundation to our brand. If you enjoy delivering something that you can be proud of in an exceptional environment, we look forward to hearing from you. TG Ski was born out of our desire to provide the perfect ski holiday. We differentiate ourselves from our competitors by focusing on a higher level of service. Our resort staff are such a valuable part of our business and as the face of the company they help to deliver unforgettable holidays which have our guests returning year after year. We look for skilled and experienced individuals that are willing to go the extra mile and exceed our guest's expectations. Attention to detail, culinary flair and dedication are all important to us, but we don’t just want robots – we want vibrant, enthusiastic, fun loving people with a love of skiing/snowboarding that will really add to a guests’ holiday. 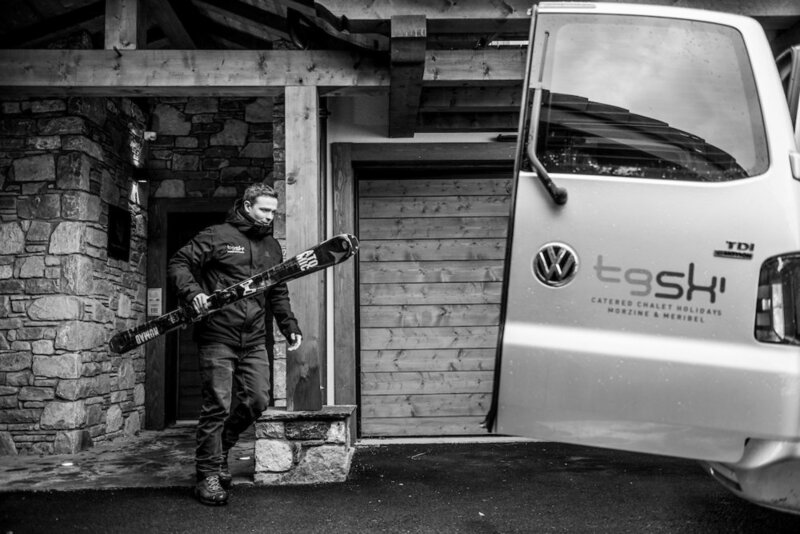 We expect hard work, commitment, enthusiasm and professionalism from our team, but in return TG Ski provide a fantastic working environment which attracts our returning staff, winter after winter. We are now recruiting for our TG Ski team for the 2019/20 season. Please see a brief summary of the roles available below. We would love to hear from you, so please get in touch with theteam@tgski.co.uk. We are looking for a dynamic, energetic and motivated individual looking for an exciting career opportunity in our growing company. This role is critical in our overseas operations, where you will be responsible for the management of our staff and operations, working closely with the Managing Director and our Head Office team in the UK. The role is diverse, interesting and fun and would see you working with a small team of experienced and trained individuals all committed to delivering an exceptional standard of service. Ideally you will be self-motivated, bring experience of managing people, working to deadlines and able to demonstrate high standards. We offer a very competitive package, training and opportunities for career development......as well as time to enjoy your passion for skiing. We are looking for bright, independent and hardworking chefs to cook their own modern international menu six nights a week for between 10 and 14 guests in our premium luxury chalets. You will be required to cook to a high standard of cuisine including: breakfast, afternoon tea cakes, canapés and a 3-course evening meal. In addition to this you will look after menu planning (including tailoring to suit dietary requirements) and maintain kitchen cleanliness and be comfortable contacting guests prior to arrival to discuss menu preferences and any special dietary requirements. 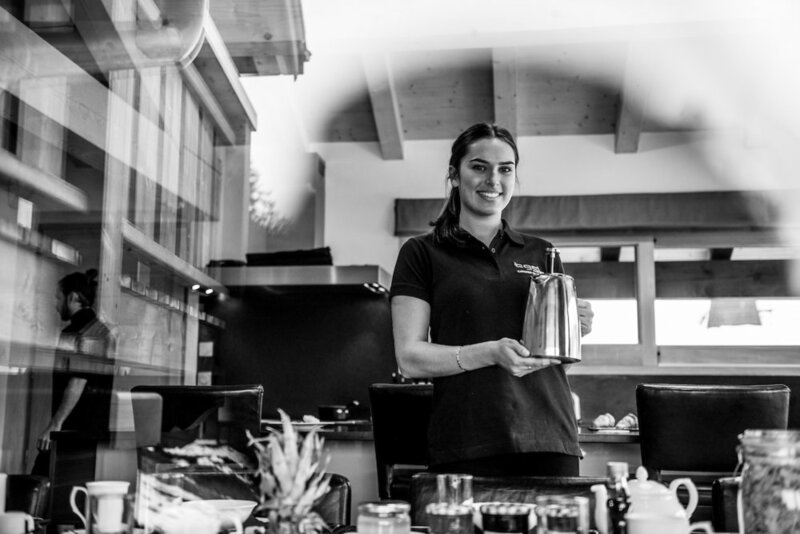 You will work closely with a host who will look after the front of house and maintain chalet standards but you will also be a main part of the guests’ holiday so you must relish interacting with others. Ideally you’ll hold a recognised catering qualification OR have built up extensive work experience in commercial kitchens. Couples are considered as the roles listed below are available too. This is a really exciting position for chefs who are looking for a fun and interesting challenge. This is a hands on role which requires an individual with a high level of customer service as well as a passion for cooking and entertaining. You are required to cook a daily breakfast, afternoon tea and 3-course evening meal, following a weekly menu. A keen eye for detail is also a necessity to ensure the exceptional cleanliness and hygiene levels of our chalets is maintained. This role is incredibly rewarding and we encourage you to use your personality to get to know your guests so it’s a fun environment to work in….all of this before you get to spend your afternoons on the slopes. You will work as part of a team of drivers to ensure the timely and safe transport of our clients between our chalets and the slopes. We are looking for individuals that are polite and good humored as well as good at managing time. Outside of these duties, the role will involve helping the hosts in and outside the chalets and entertaining guests. Variety is the spice of life; no day will be the same in this position. If it sounds like hard work it might not be for you, but if you love interacting with people and working in a team, you’ll find it great fun and hugely rewarding. If you would like to work with TG, please fill in the form below and we will be in touch for more details from you. Feel free to give us a call as well, we always have people who have worked in resort, in our office; who can give you any advice you might want... or just to let them know personally why you would be perfect for TG.